This time around, I was assigned Michaela’s blog, An Affair from the Heart. Michaela is a Stay at Home Mom of 4 (I love how many SRC members are moms!) She loves life, cooking, and throwing parties! 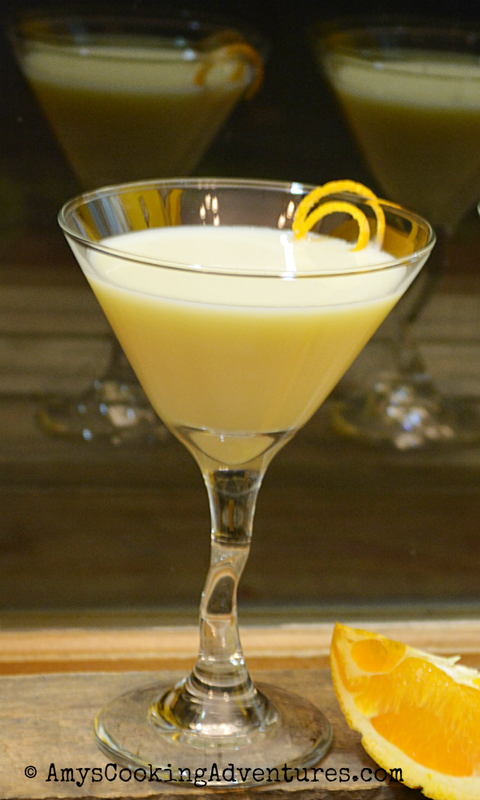 Speaking of parties, I was immediately drawn to all of her amazing drink recipes! 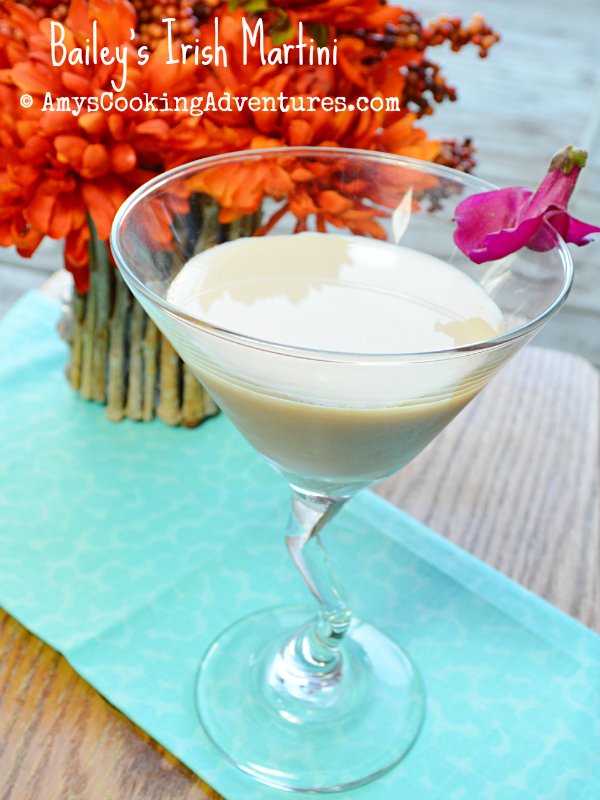 I started out with the Bailey’s Irish Martini, which was so delicious and easy to make! Check out the recipe at Michaela’s blog. 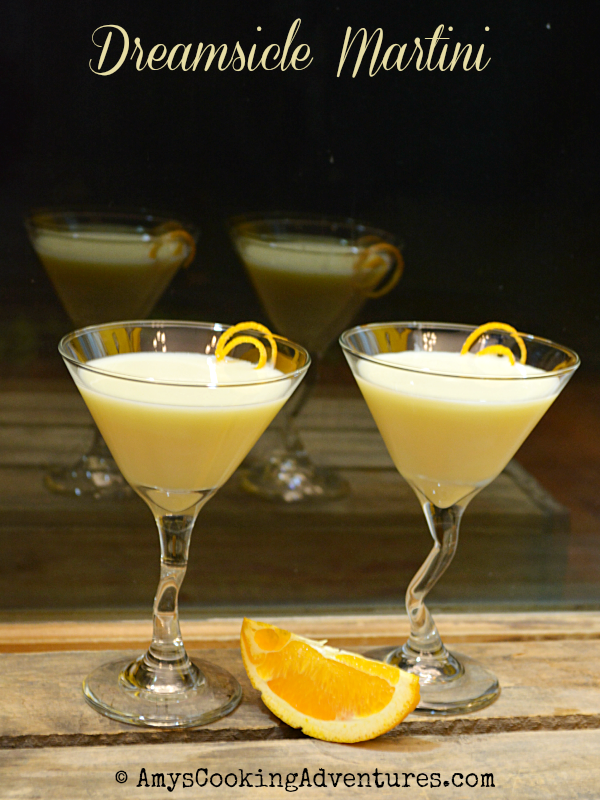 But the real winner was the Dreamsicle Martini! It was amazing!! Yep, a yummy, creamy, boozy version of everyone’s favorite ice cream treat! Also, these go down waaay too easily. Consider yourself warned! Because I love to bake I actually ended up making a third recipe from An Affair from the Heart! 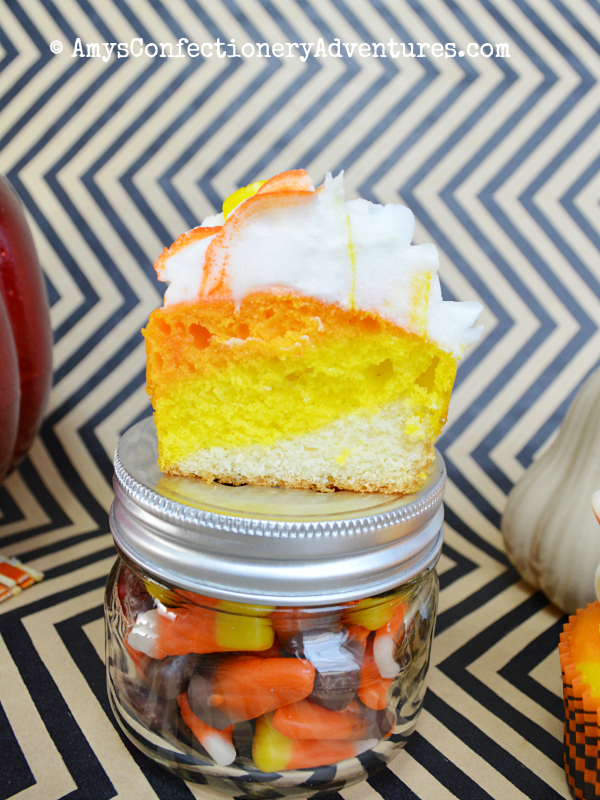 I also made Candy Corn Cupcakes! I ended up using my own cupcake recipe, so I didn’t choose it as my SRC feature. You can see Michaela’s recipe here and my post on it here! Thanks Michaela for some amazing recipes! Place ingredients in a martini shaker filled with ice (or diy it with a mason jar). Shake until chilled. Pour into two martini glasses and consume. 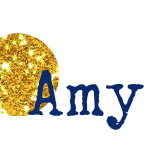 Amy, I am so excited about your post!! I love that you enjoyed baking (and drinking!!) 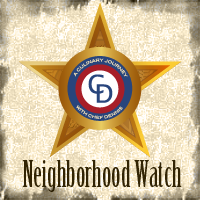 from my blog as much I as enjoyed yours the month I was lucky enough to have it! Your drinks looks great, and the cupcakes turned out so cute!! The martini version sounds more tempting than the frozen dessert! What a FUN post! Thanks for sharing with the SRC. I love cocktails, but don't make them very often. Cheers. Sounds like a fantastic drink! I could go for one of those right now! Great SRC choice! A great drink it looks yummy! It's fun cooking with you in the SRC! I love Michaela's blog. Great recipe picks. That martini sounds awesome! Yummy! Yes, I will take on please! Visiting from SRC B!